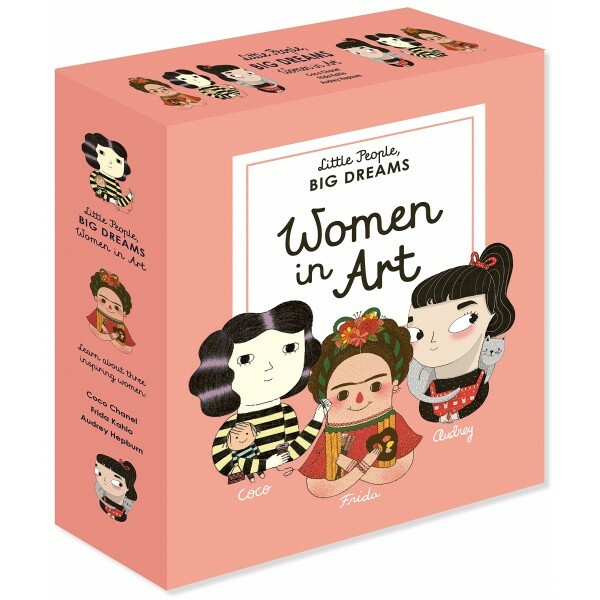 Meet three inspirational women from the world of art: Frida Kahlo, Coco Chanel, and Audrey Hepburn! 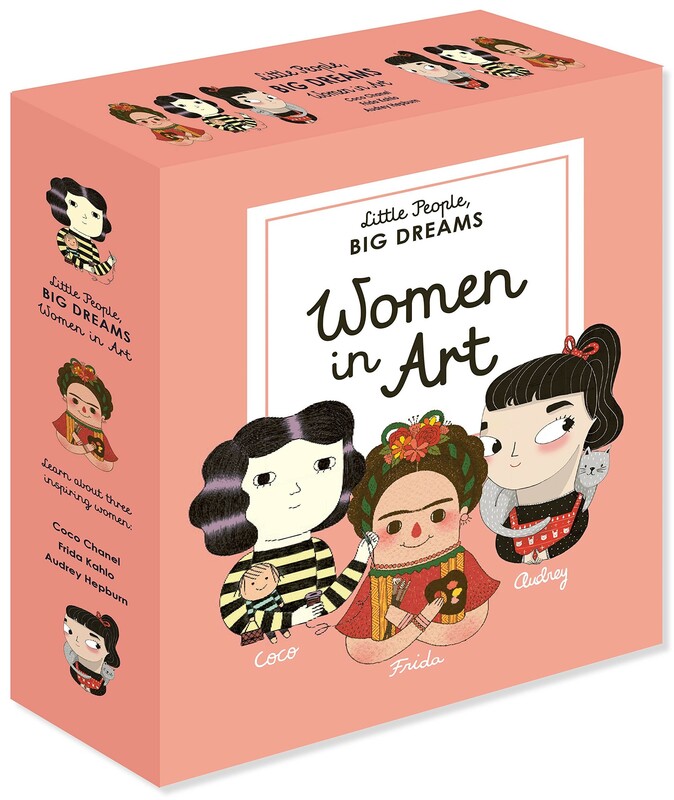 This boxed gift set of three hardcover books from the internationally best-selling Little People, BIG DREAMS series introduces little dreamers to the lives of these incredible women who worked in the arts — and changed the world. In these remarkable true stories, learn how Frida, despite having polio as a child and, later, being injured in a terrible road accident, went on to become one of the most famous artists of the twentieth century; Coco spent her early life at an orphanage, and followed her passion to make her name as a world-famous fashion designer and style icon; and Audrey, after living through the hardships of World War Two, began acting in plays and films, eventually becoming an iconic Hollywood star.